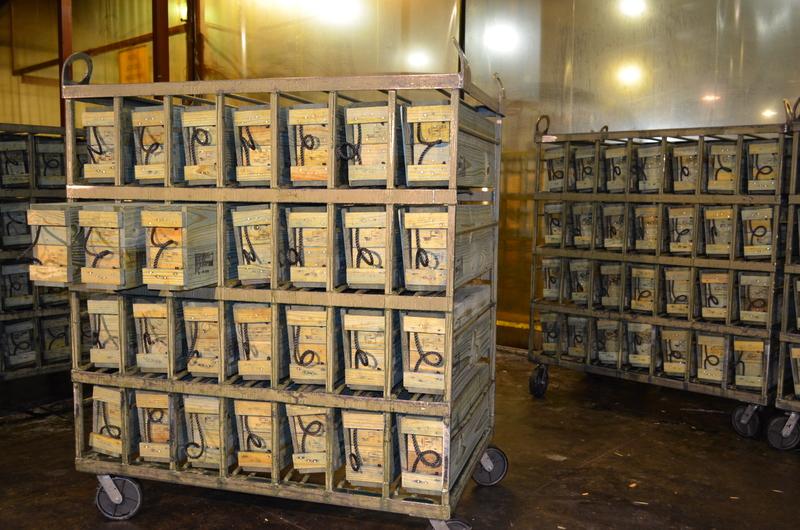 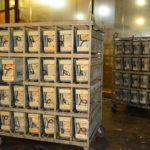 Choctaw Defense was recently awarded a follow-on IDIQ contract for the 105mm Wood Boxes. 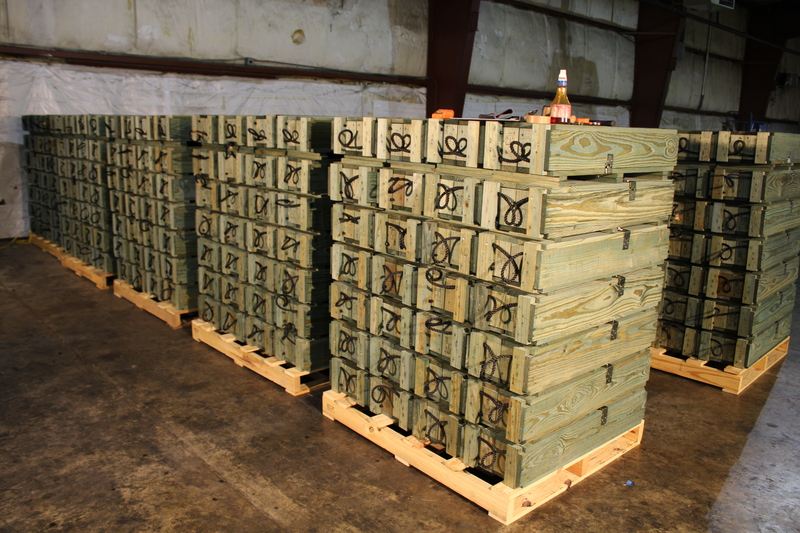 Over the life of the initial 5-year contract, Choctaw Defense has optimized the manufacturing process for the 105mm wood containers. 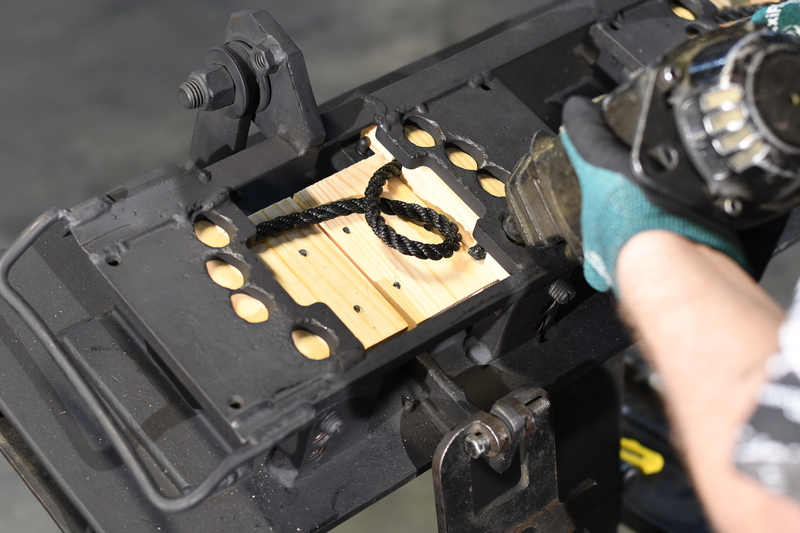 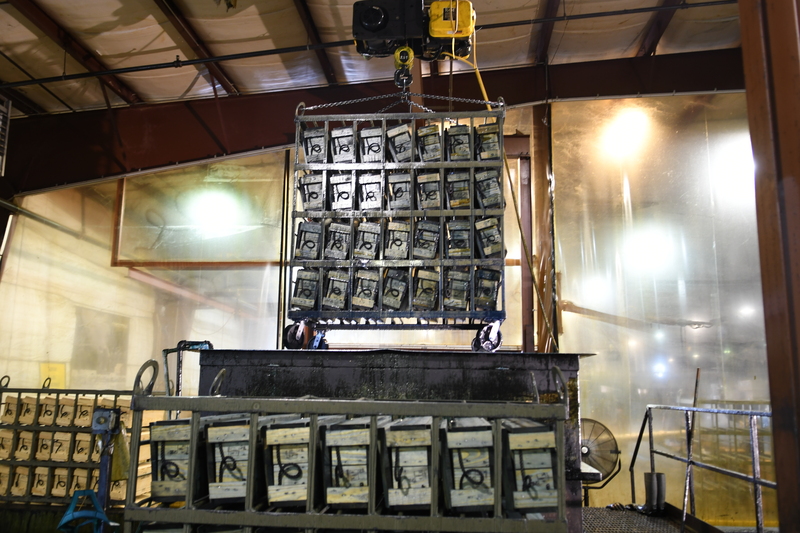 We utilize LEAN one-piece flow production manufacturing that allows us to complete a container every 58 seconds for a total of 532 containers produced a day. 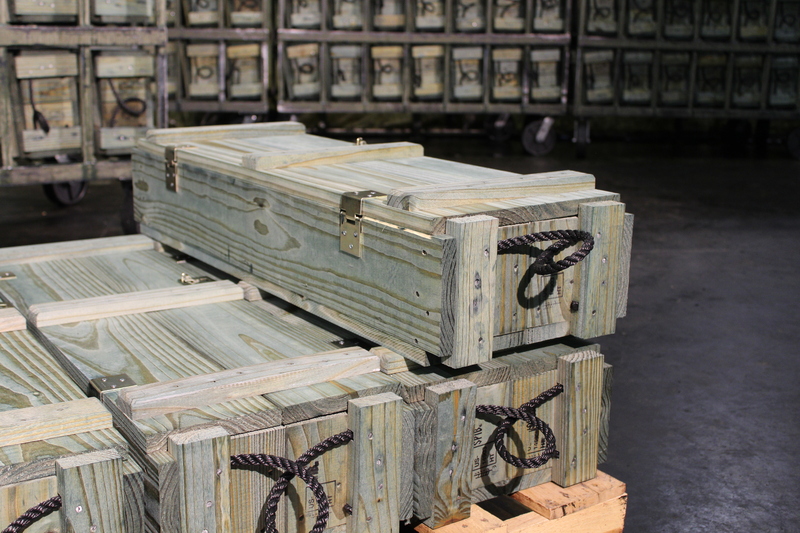 The 105mm wooden ammunition boxes are 11” high x 12” wide x 37” long. 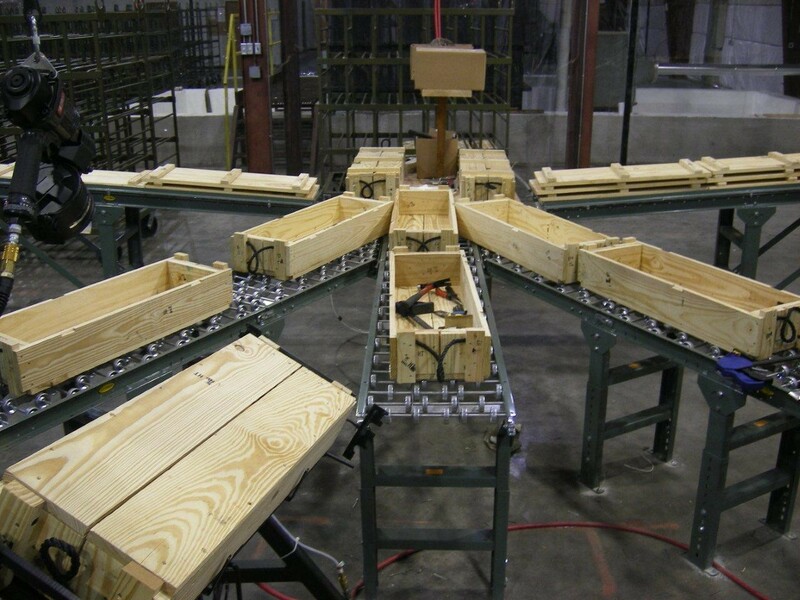 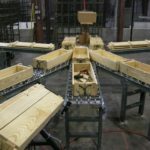 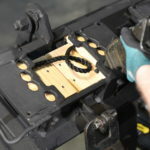 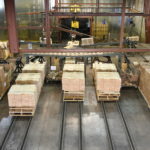 The 105mm Wood Box production line received the Governor’s Manufacturing Leadership Award in 2009, and the Manufacturing Extension Partnership for “Excellence in Innovations” from the National Institute of Science and Technology (NIST) in 2012. 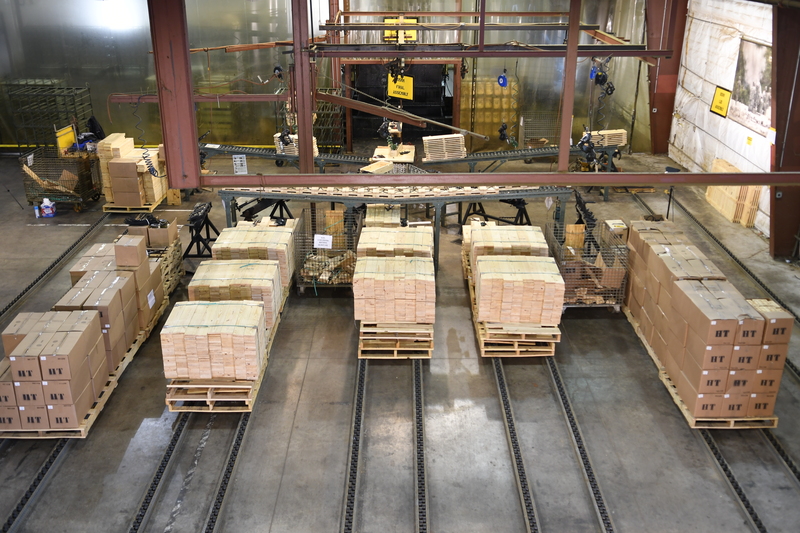 Choctaw Defense was awarded a contract to manufacture three variants of the Advanced Medium Range Air-To-Air Missile (AMRAAM) Containers for the Air Force. 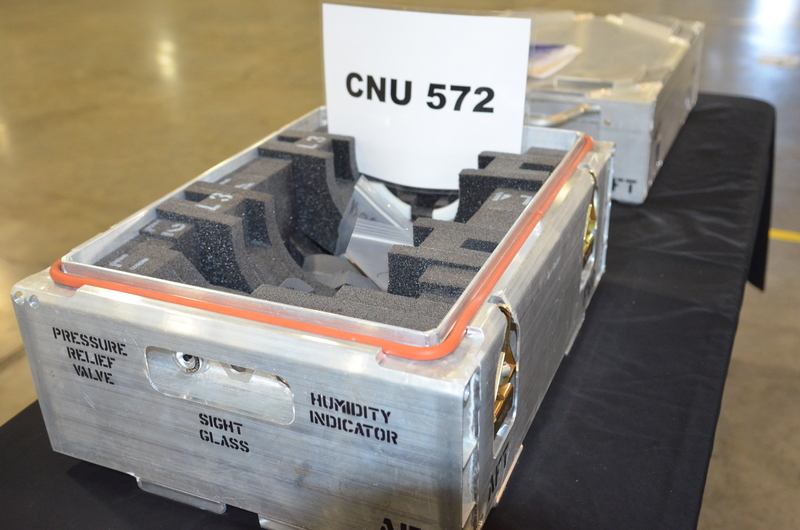 The variants included: CNU 431, CNU 463 and the CNU 572. 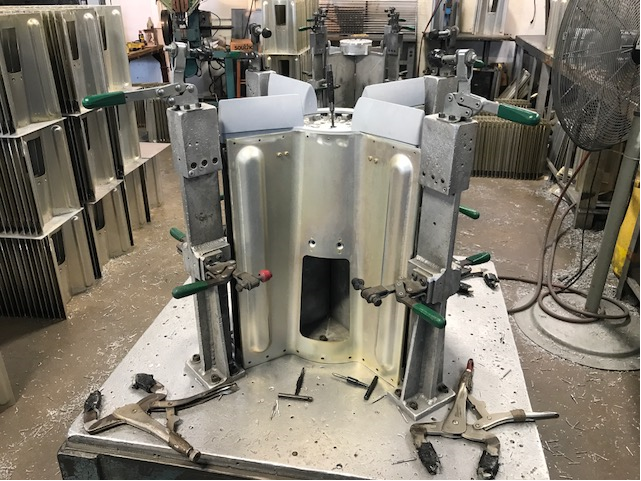 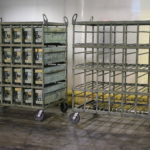 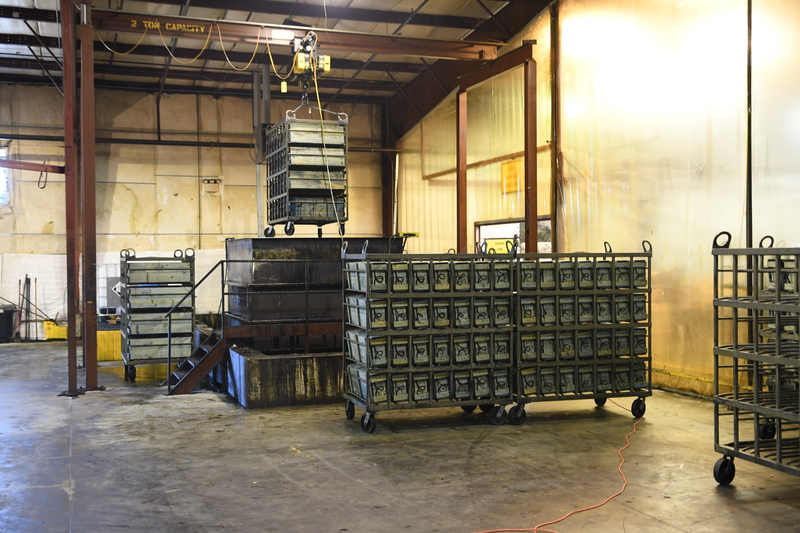 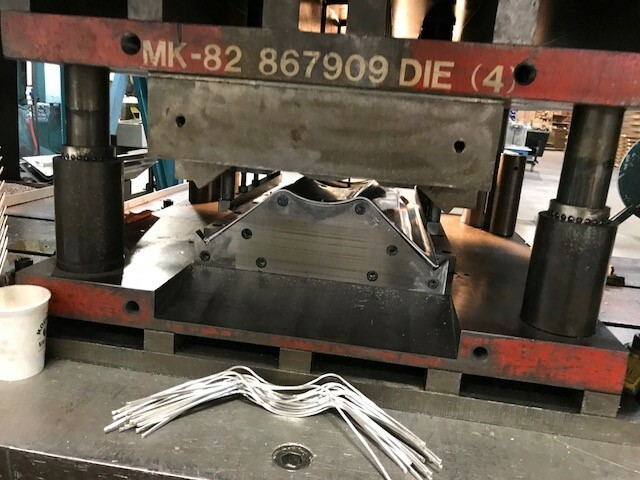 During the production of these containers, Choctaw Defense designed and fabricated unique welding fixtures that minimized distortion to the base and cover of the containers during welding in order to maintain required tight tolerances for the product. 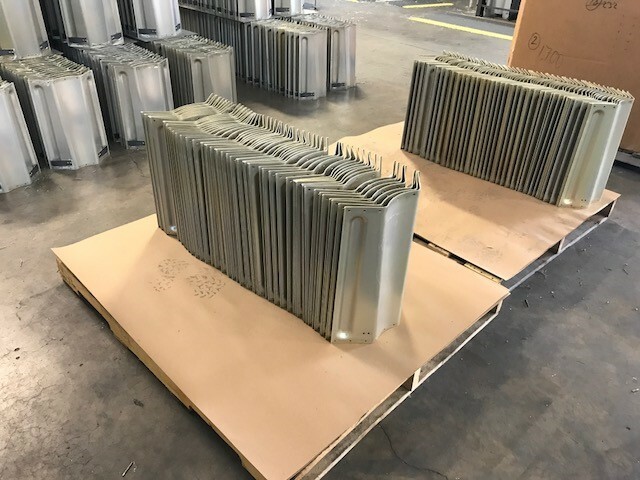 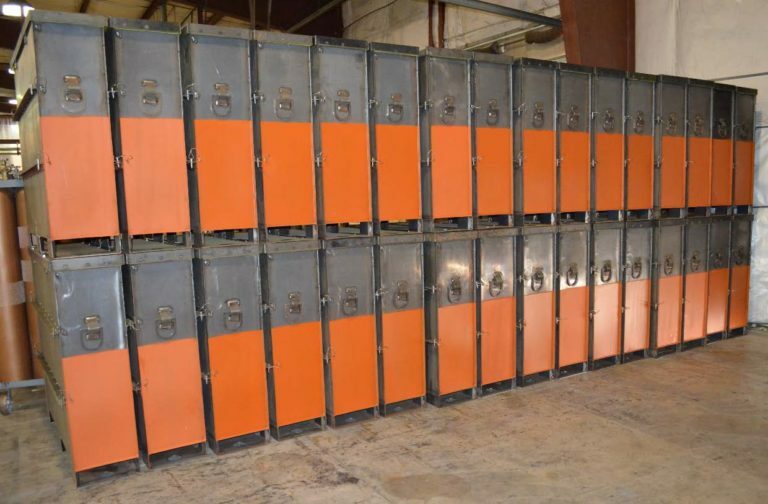 The APU Aluminum Extrusion Container size is 36″ high x 34″ wide x 44″ long. 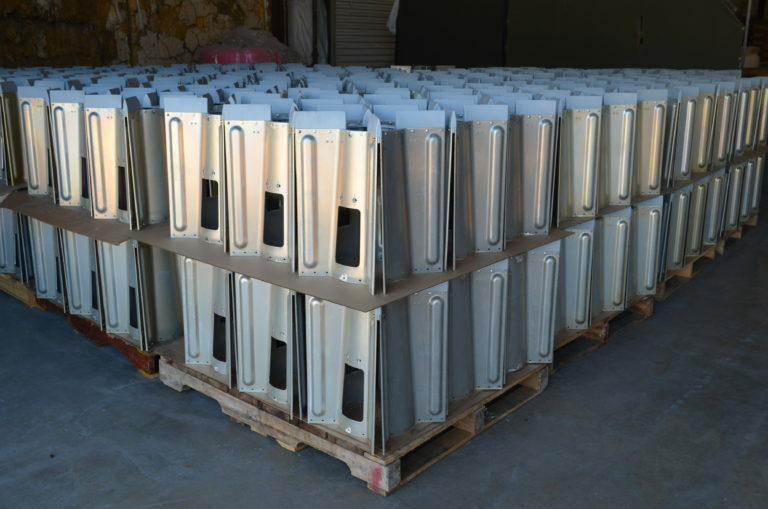 These containers are used to contain any of three different Auxiliary Power Units during storage and transportation. 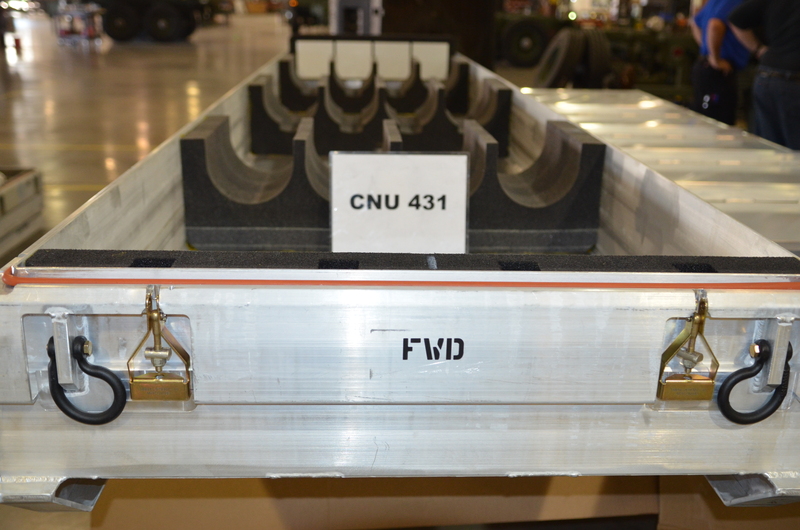 This container utilizes a steel mounting cradle used for securing the APU’s. 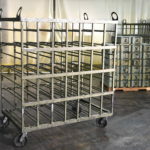 The cradle mounts can be arranged for three different configurations of APU’s. 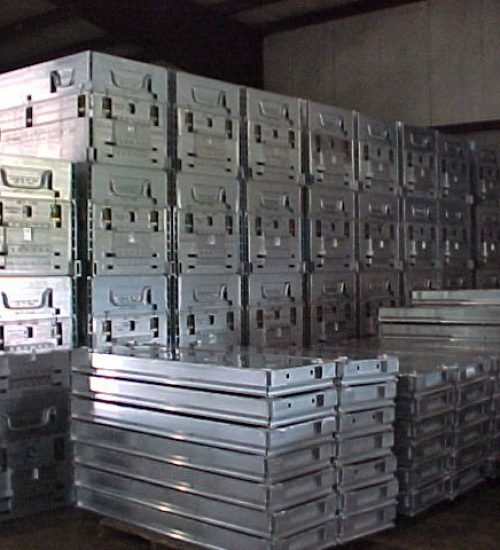 This contract was a high-volume effort with production requirements of 100 units per month. 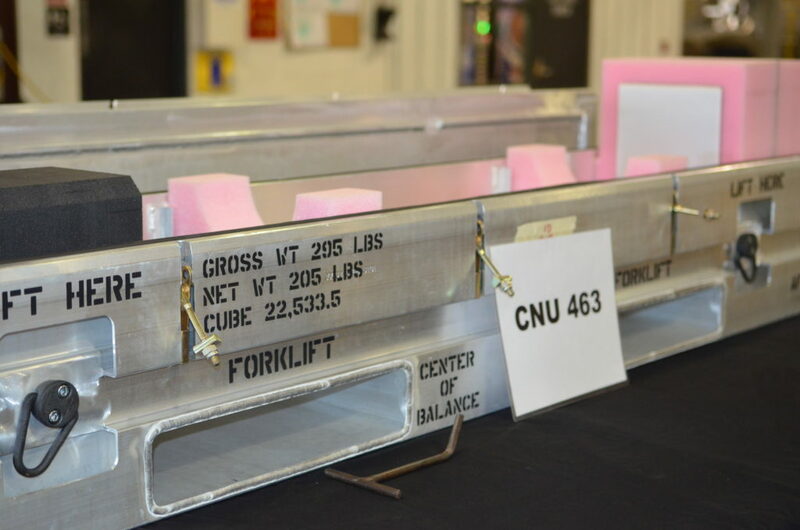 The CNU 332/E container is the shipping and storage container used to package linked 30mm cartridges used in the A-10 Thunderbolt II (Warthog) aircraft. 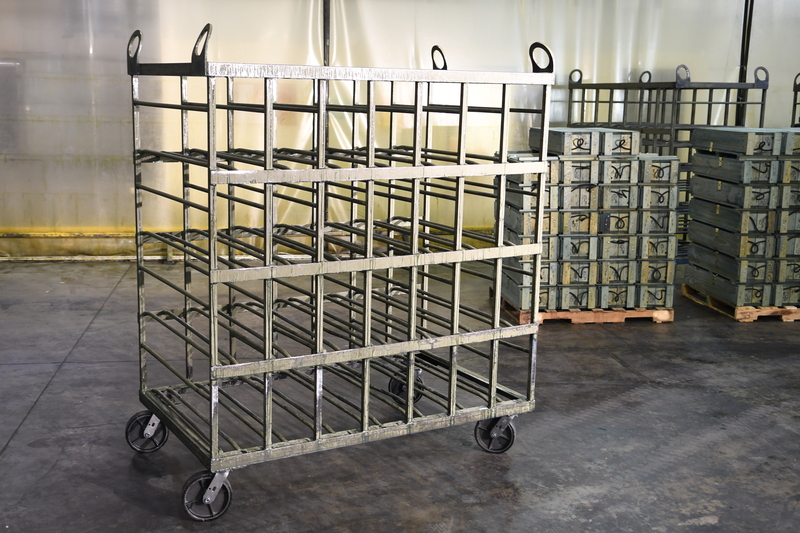 The CNU 332 consists of a formed and welded steel outer shell, Mylar liner and necessary hardware items. 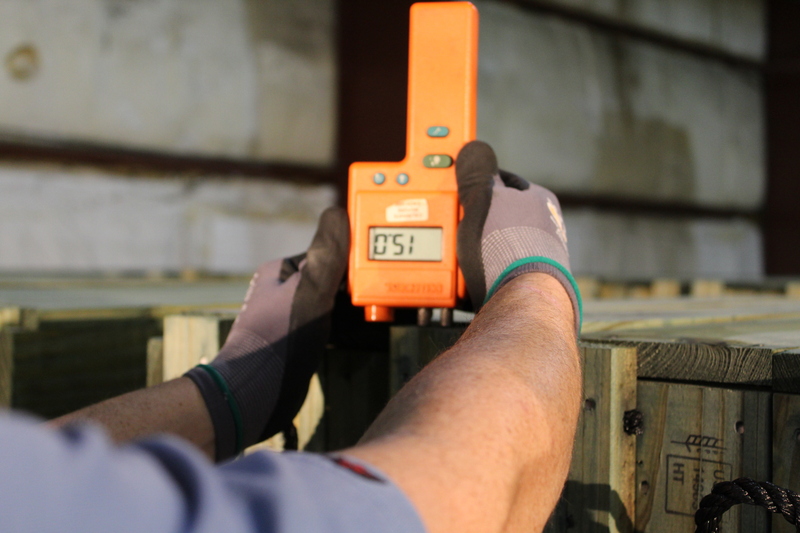 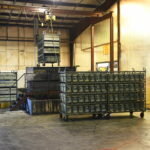 Each container measures 50″ long x 21″ wide x 41″ in height. 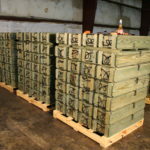 The Joint Standoff Weapon (JSOW) is a family of air-to-ground weapons that utilize a Global Position System (GPS) targeting capability and an airframe that satisfies standoff requirements for attacking targets from outside enemy point defenses during day, night and adverse weather conditions. 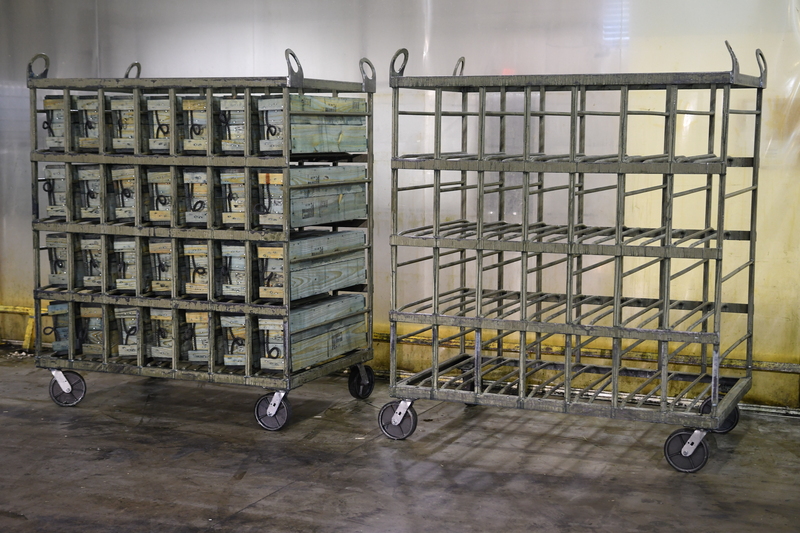 The containers used to ship and store the JSOW use a welded, double-wall extruded aluminum sidewall All-Up-Round (AUR) design. 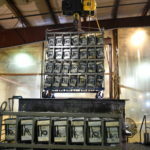 This container’s features include: a complex cradle mounted on shock absorbing pads, the ability to interface with the weapon from the outside of the container to program the mission into the missiles GPS computer and provides environmental protection to ensure JSOW meets the required 20-year storage life. 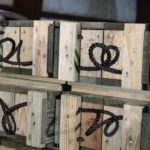 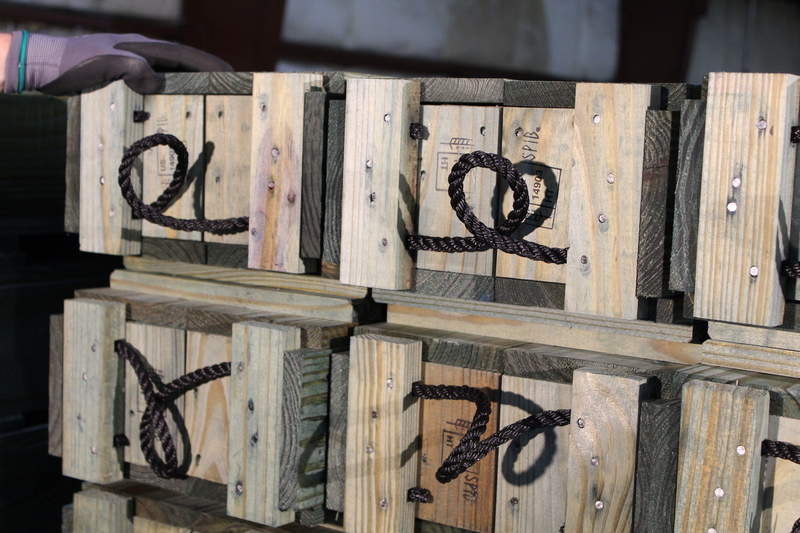 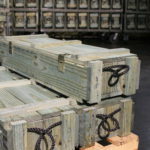 These containers can be reused, stacked and handled by forklift or cranes.